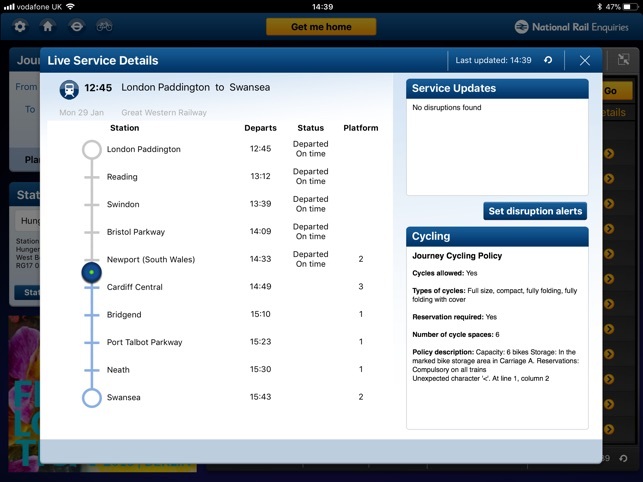 Now you can access detailed, real-time train information direct from your iPad. 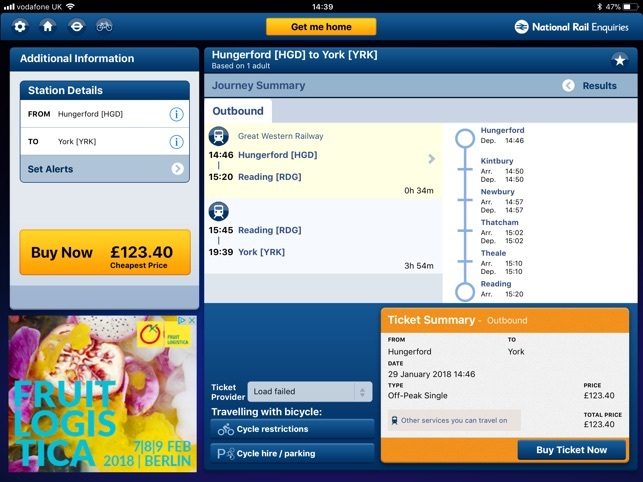 So much more than a timetable, innovative technology enables you to track specific trains, find out about disruptions to your journey, and re-plan your journey on the go. 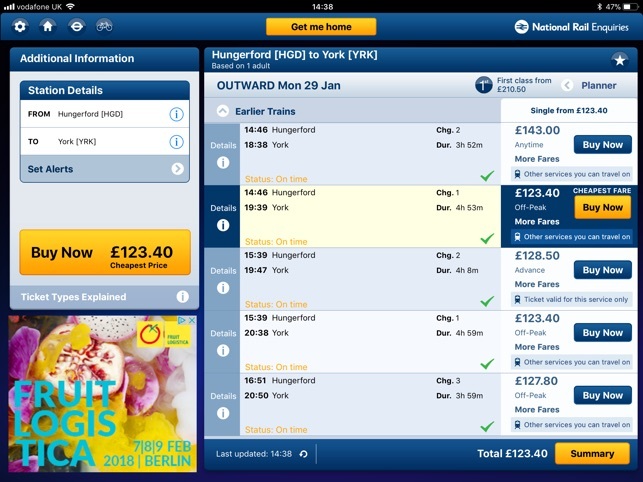 Enhance your train travel experience - download the FREE National Rail Enquiries for iPad app today. Bug fixes: App was showing incorrect journey duration when a journey exceeds 24 hours, GDPR compliance Opt-In and added missing stations from station list. 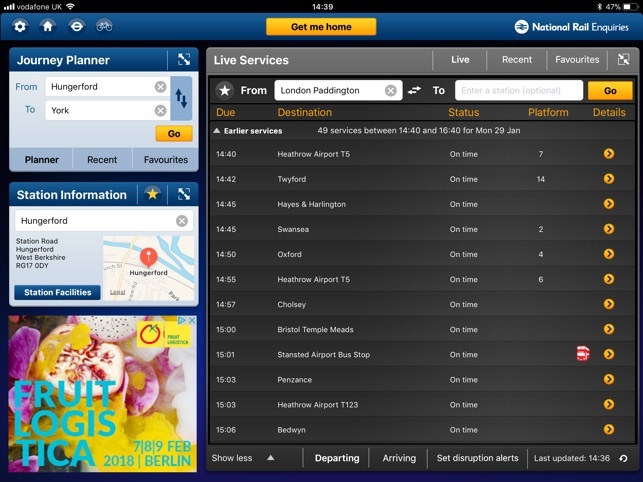 Generally happy with the app, except for the Live Services panel - the to & from stations are still, and have always been, the wrong way round - you need to put the destination station in the “From” box and the departure station in the “To” box! Kinda ok when you get used to it, but clearly wasn’t properly bug-tested before release. The information about individual journeys could show progress over the whole journey, not just from the boarding point. Then I can see when other people should board at earlier stations to arrange meetings on the train. Useful to see when trains are delayed, especially during bad weather. I haven't tried booking tickets yet. Put off by others ' reviews.